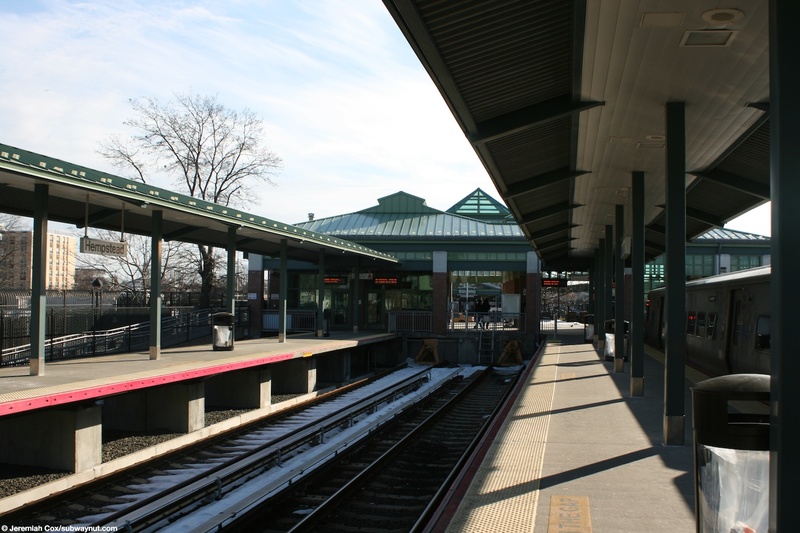 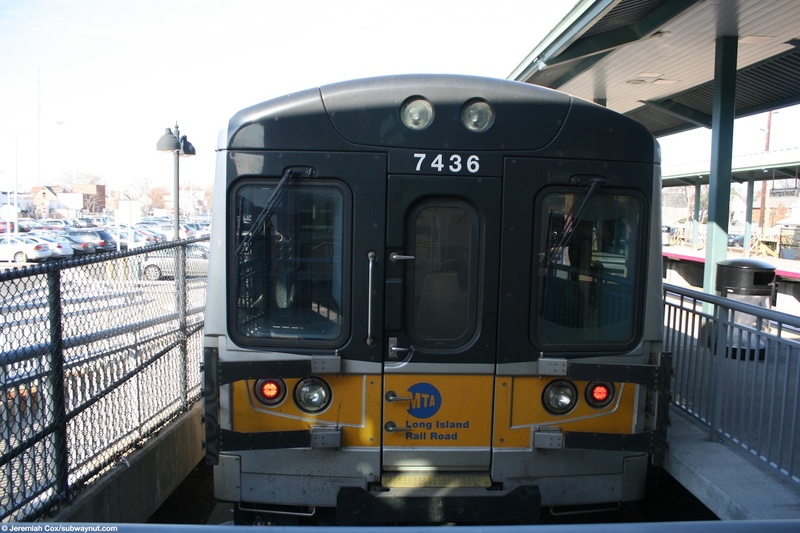 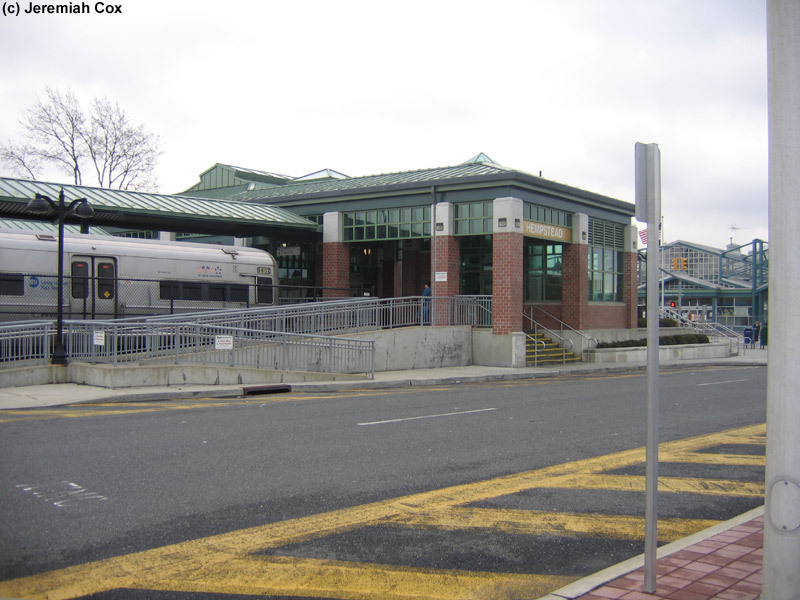 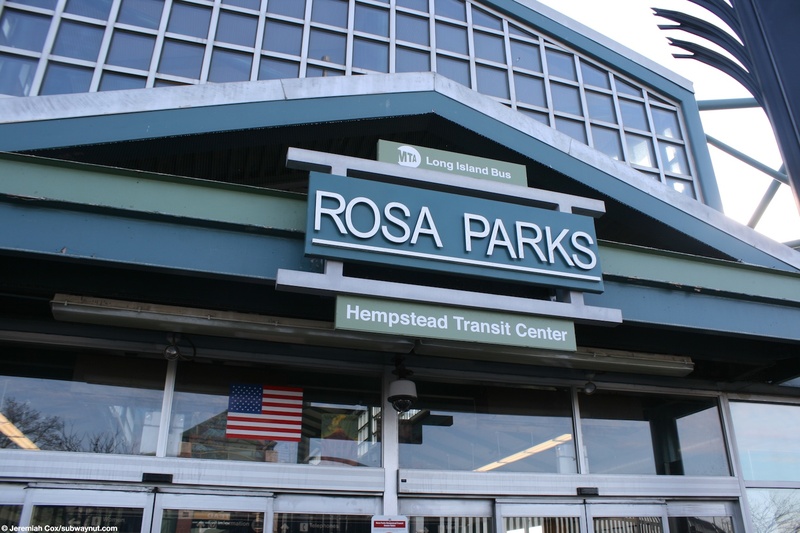 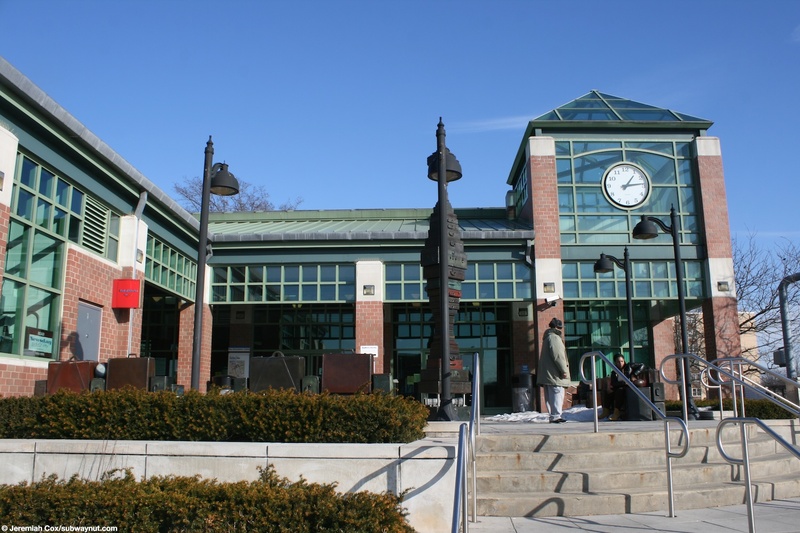 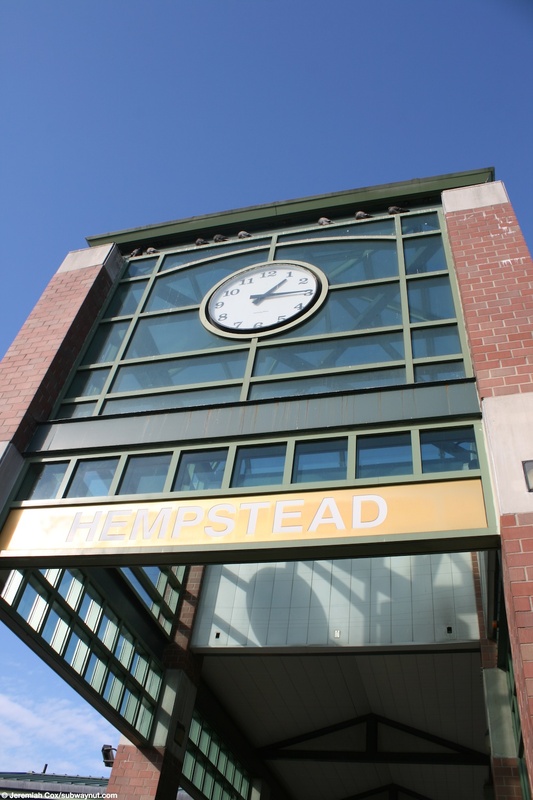 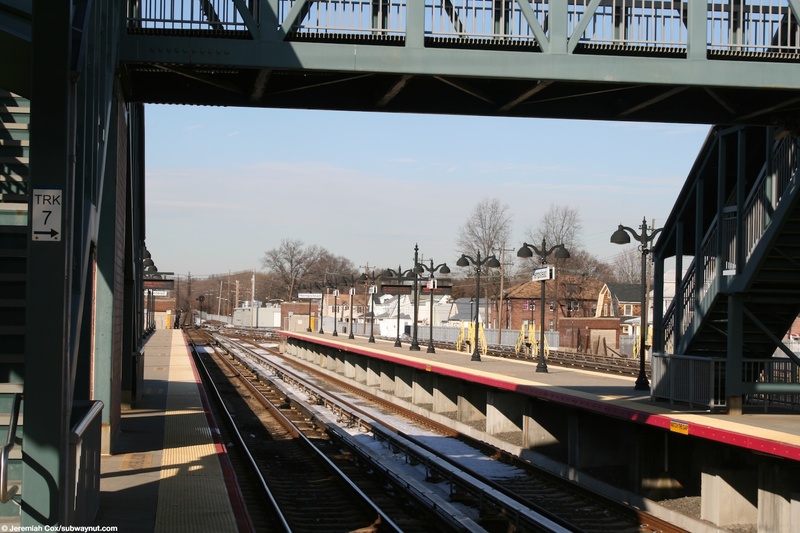 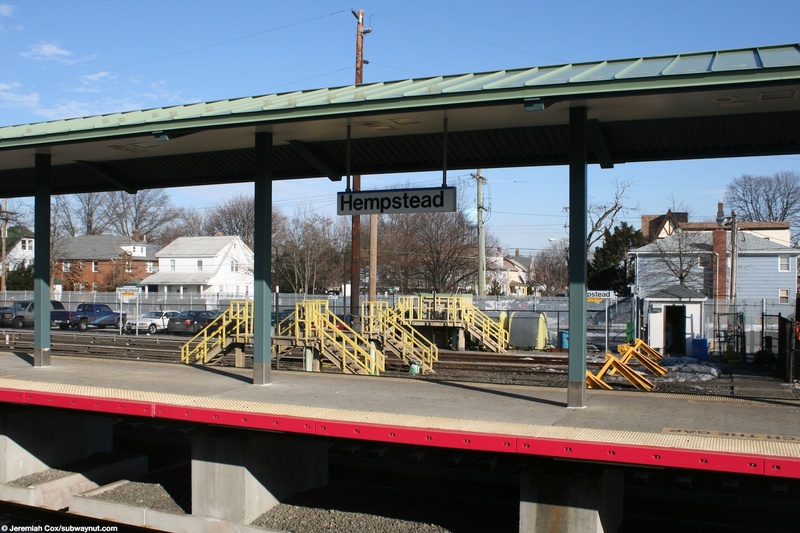 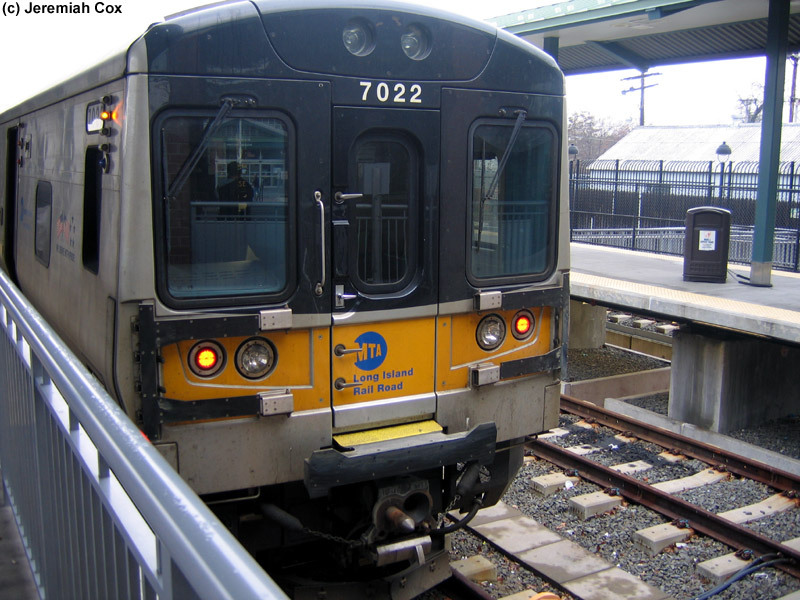 The Hempstead Station is the terminus of the Hempstead Branch and is located across the street from the Hempstead-Rosa Parks Transit Center, a major transfer point for 19 bus routes operated by MTA Long Island Bus. 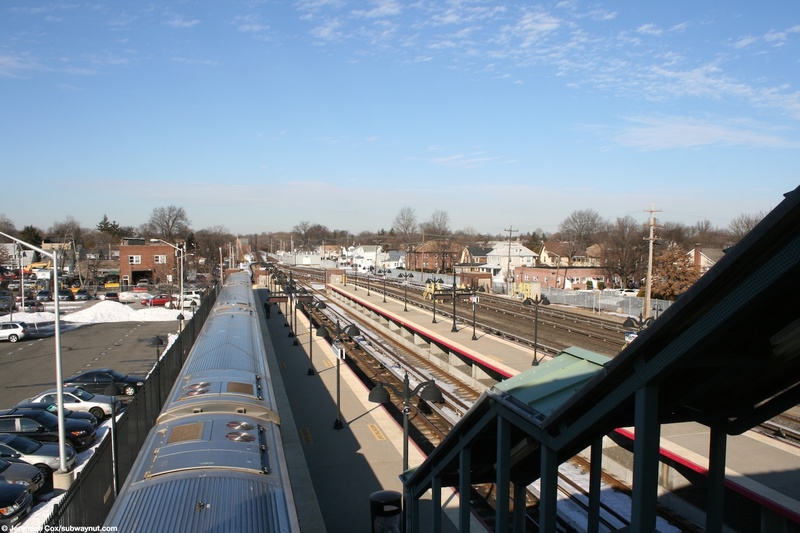 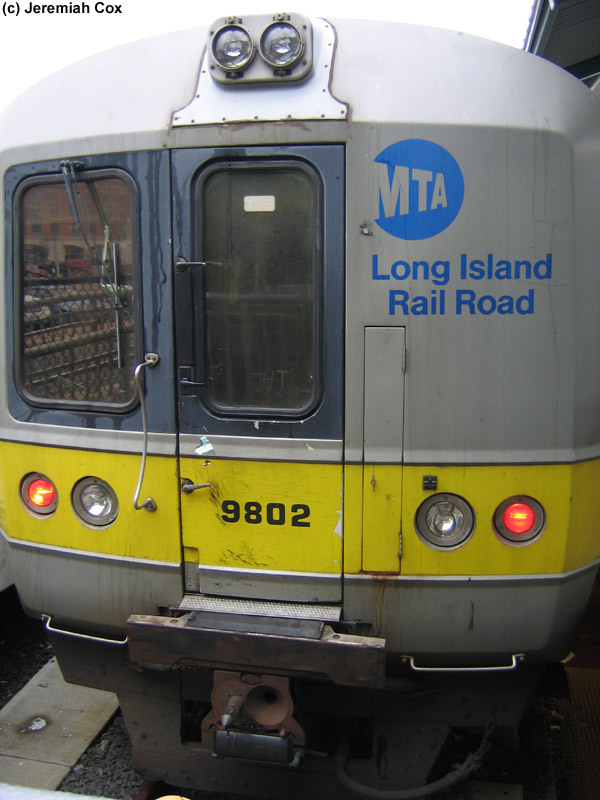 It is also the only place where MVMs can be found in Long Island. 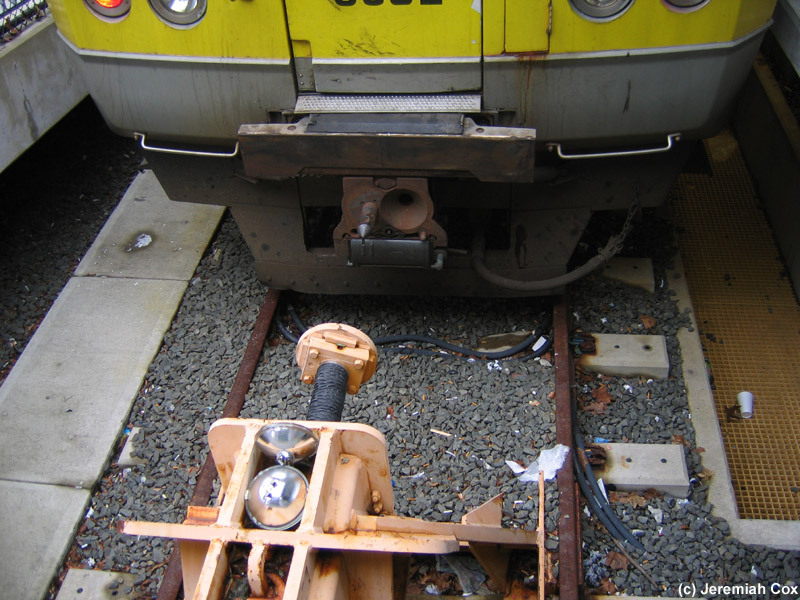 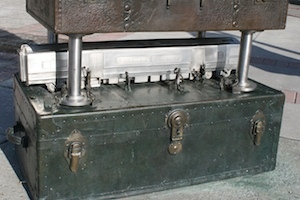 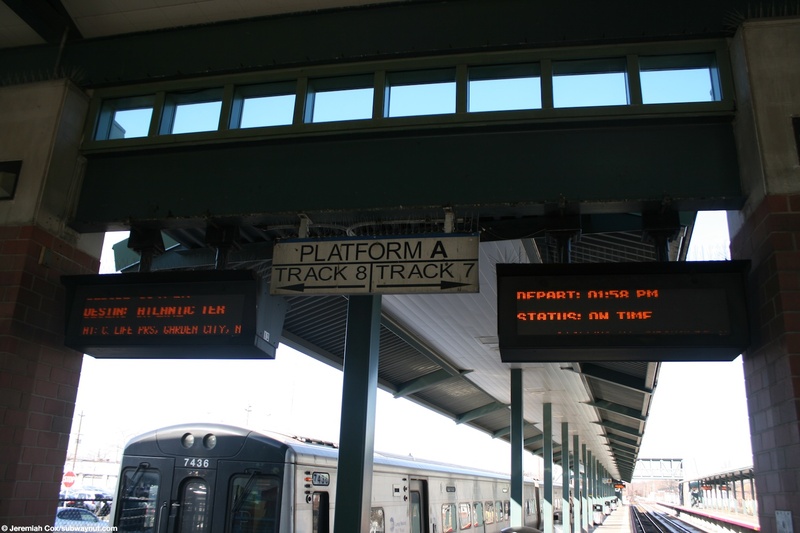 The station itself has a four-track two island paltform terminal with all the tracks ending in bumper blocks. 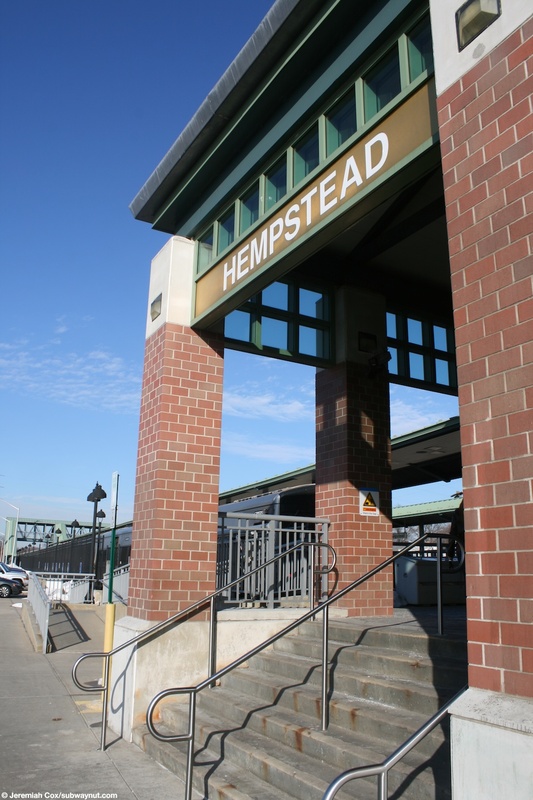 Alongside the eastern portion of the terminal tracks there is also the four-track electrified Hempstead Yard. 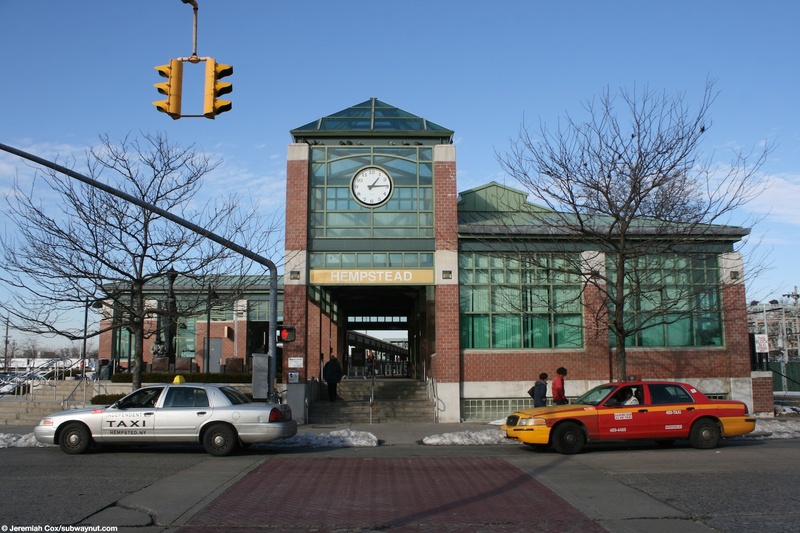 To the western side of the station is the stops parking lot. 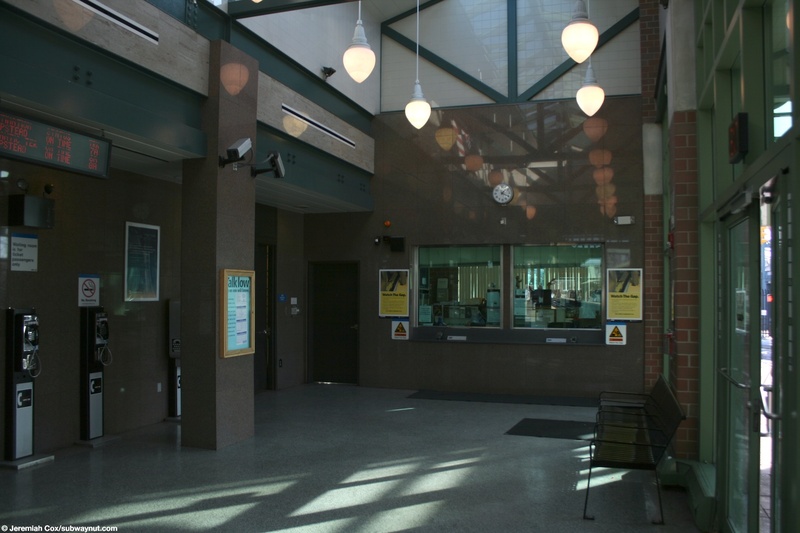 Access to the station is primarily provided by from the end of the platforms beyond the bumper blocks, here a decent sized building is found with the station's waiting room and ticket office. 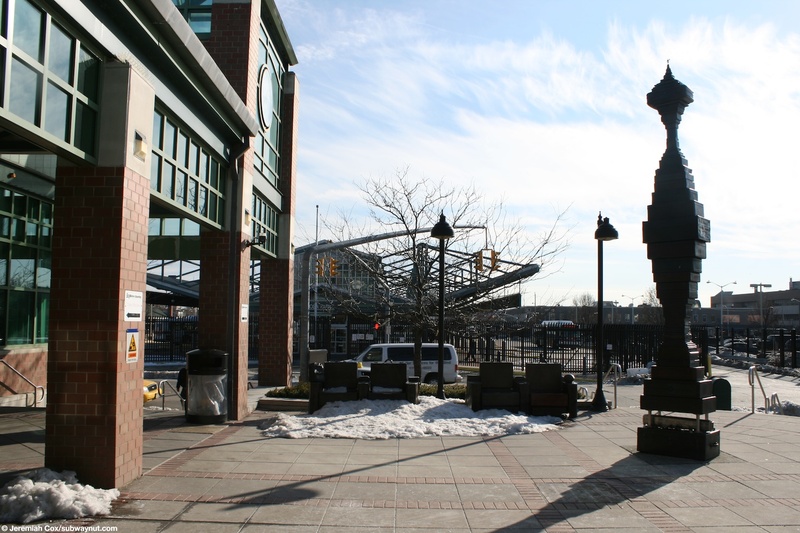 Continuing through the passageway beyond the main outdoor plaza entrance is where there is the Art's For Transit Sculpture, in a small outdoor plaza and the main very short staircases (and ADA ramps) down to Columbia Street across from the Transit Center. 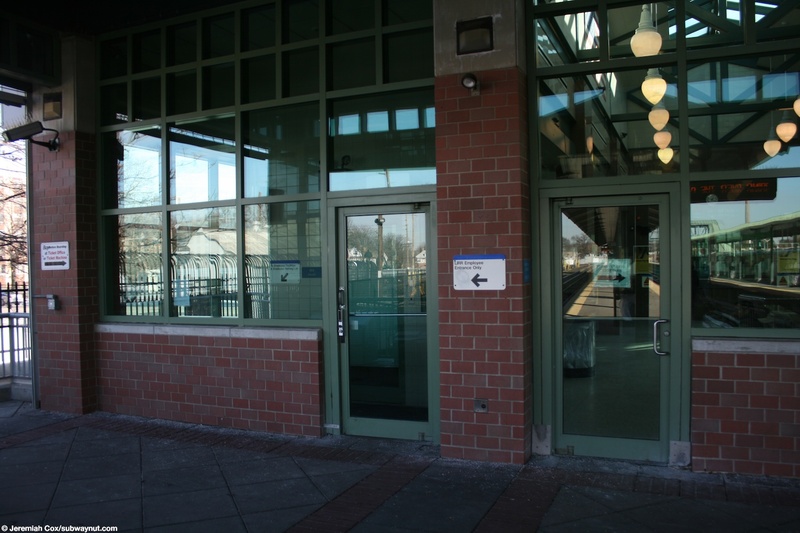 There is a secondary entrance passageway to the east side of the station along the bumper blocks of the small train yard to Morrell Street. 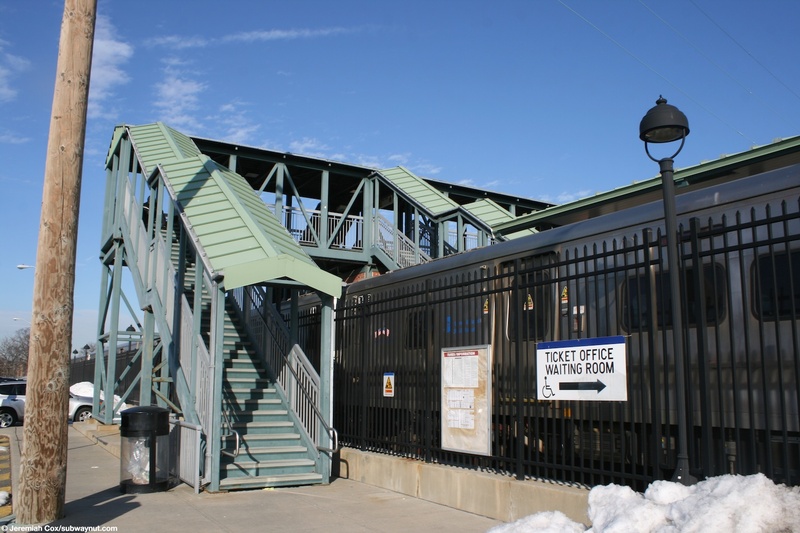 About two thirds of the way from northern end of the platforms there is a simple bridge that connects to both platforms with two staircases down to them along with one staircase down into the parking lot. 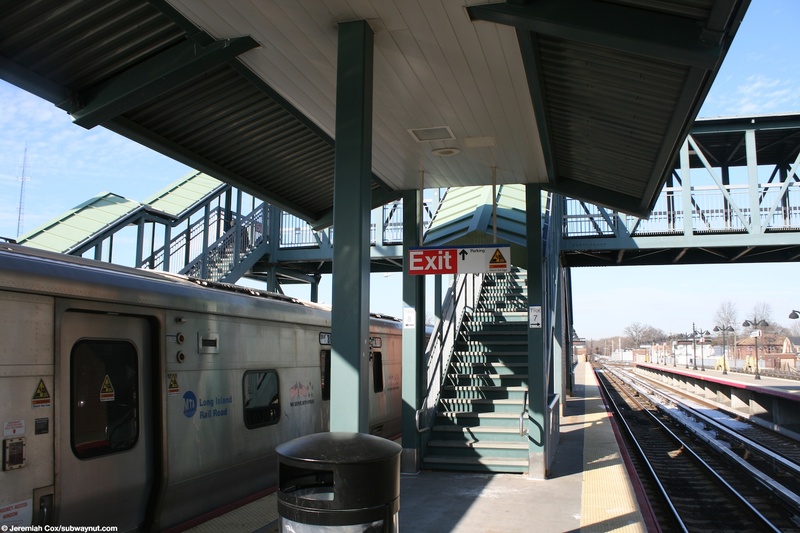 The two platforms and connecting sidewalks are fully canopied from the station house at their bumper blocks to this bridge but beyond this bridge the platforms are simply exposed to the elements.